Virtual reality is in, but you shouldn’t have to drop hundreds of dollars to gain access to the technology behind it. 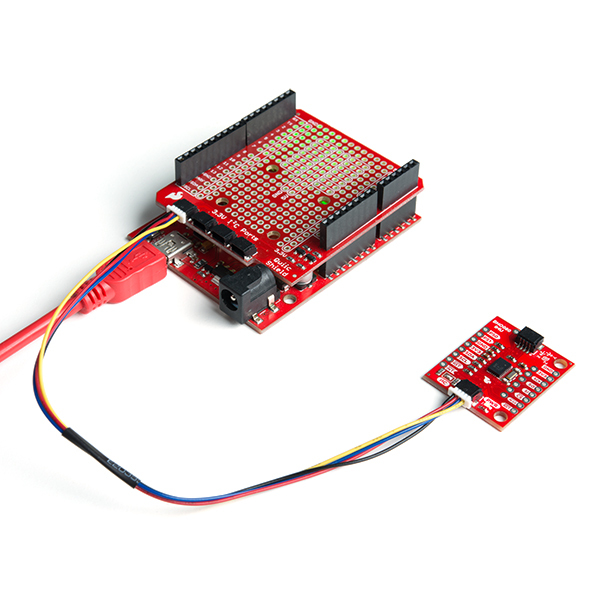 Luckily, that’s where the SparkFun VR IMU Breakout comes in. 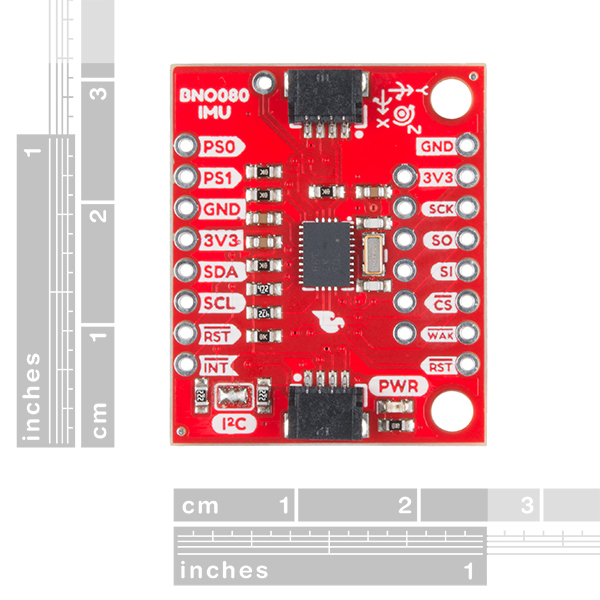 At its heart is Bosch’s BNO080, a combination triple-axis accelerometer/gyro/magnetometer SiP, packaged with a 32-bit ARM Cortex M0+. 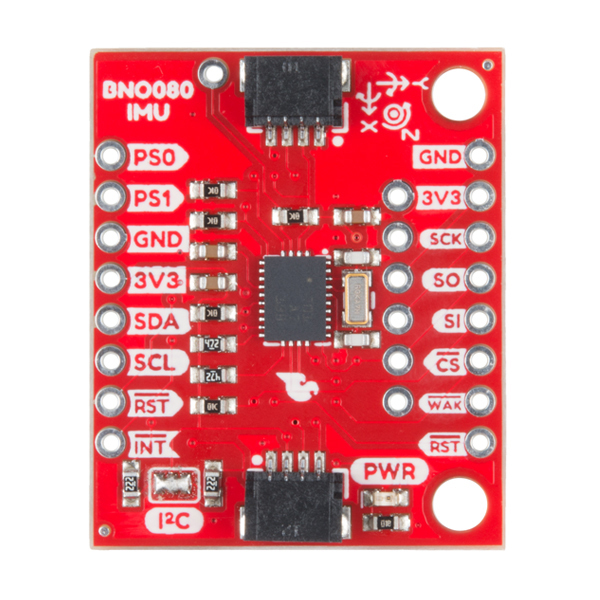 The BNO080 Inertial Measurement Unit (IMU) produces accurate rotation vector headings, excellently suited for VR and other heading applications, with a static rotation error of two degrees or less. 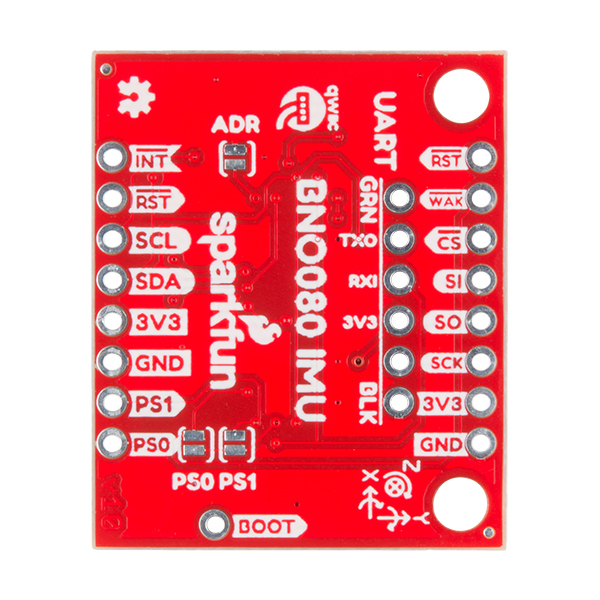 The VR IMU is exactly what we’ve been waiting for: All the sensor data is combined and drift-corrected into meaningful, accurate IMU information. It’s perfect for any project that needs to sense orientation or motion. This IMU breakout board has also been equipped with two I2C Qwiic connectors, in order to make interfacing with the tiny, QFN package a bit easier. 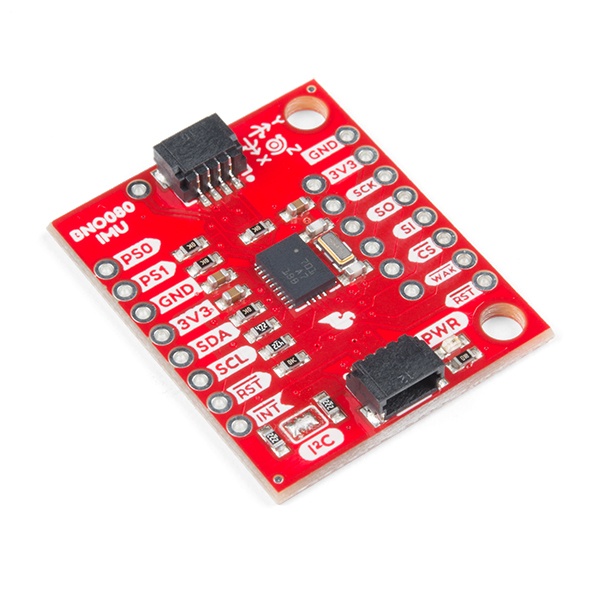 It’s part of SparkFun’s Qwiic connect system, so you won’t have to do any soldering to figure out how things are oriented. However, we still have broken out 0.1"-spaced pins in case you prefer to use a breadboard. Note: This is the same “High Precision” VR IMU that SparkX produced, not the original version that preceded it without the on-board 32kHz crystal.